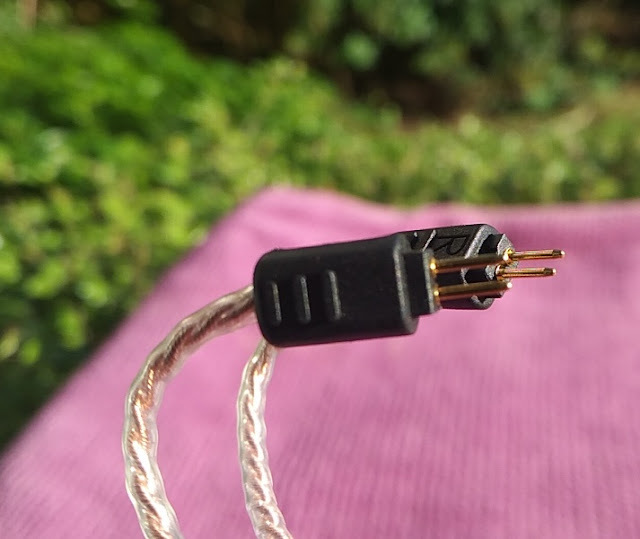 Headphones with detachable cables have the distinctive advantage of providing headphones a new lease of life because one of the first things that tend to wear out first on a pair of headphones is the cable ends! 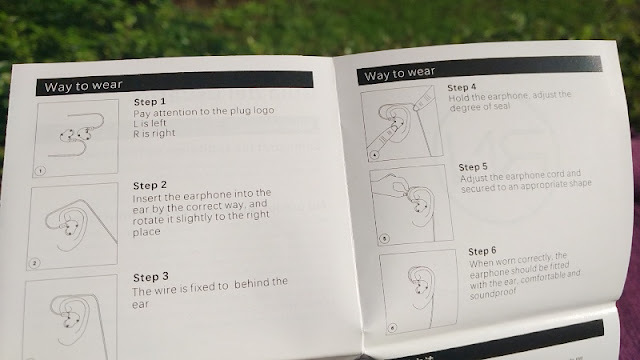 Headphones with detachable cable can come with different types of connector, namely MMCX (micro-miniature coaxial), 3.5mm jack and 2-pin connector which is found in the RevoNext QT5 in-ear Wired headphones. 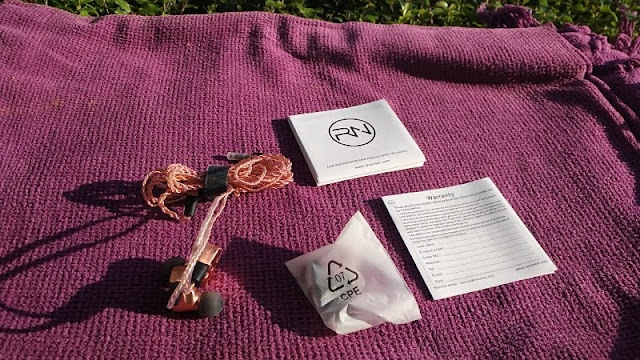 Most headphones with detachable cable use the 3.5mm jack, while in-ear headphones (a.k.a. 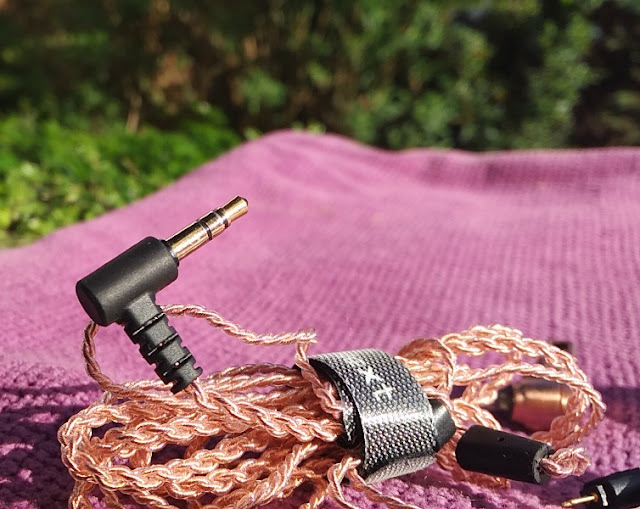 earphones or in-ear monitors) use MMCX or the 2-pin connector design to detach the cable cord from the headphone body. 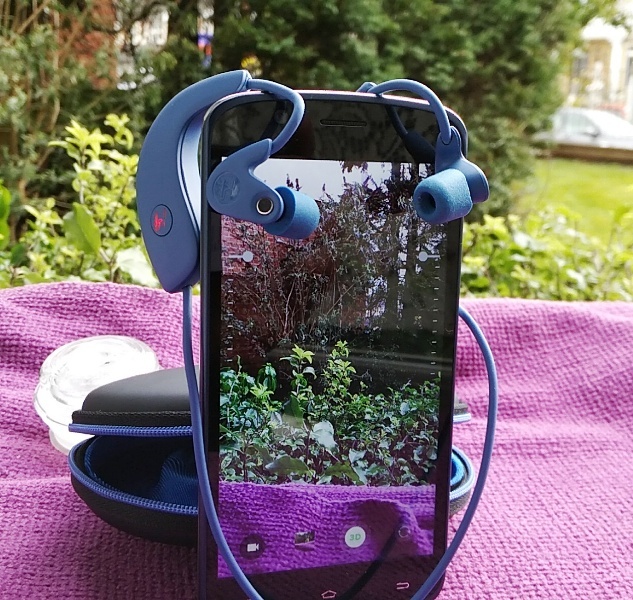 On a pair of earphones such as the RevoNext QT5 having detachable cords makes even more sense because of the metal body which gives the earphones an even longer longevity than earphones with plastic bodies. 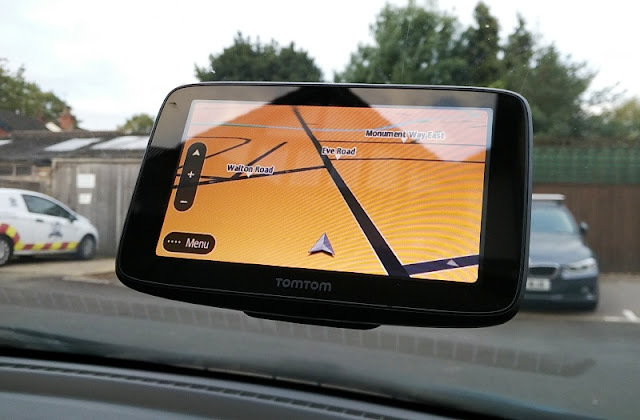 Aside from removable 2-pin connectors, the RevoNext QT5 has another upside and that is a Bluetooth option using a 2-pin Bluetooth cable. 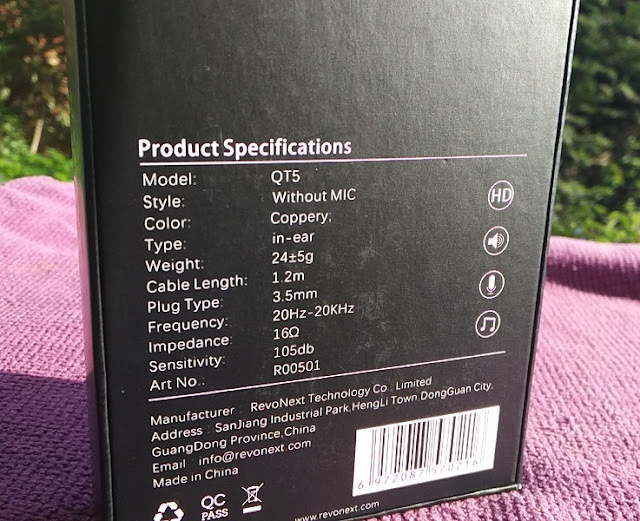 RevoNext has a dedicated 2-pin Bluetooth cable add-on (not included) for the QT5, called BO2 but you can use any third-party 2-pin cable as long as the pins are 5mm in length and 0.78mm in diameter. 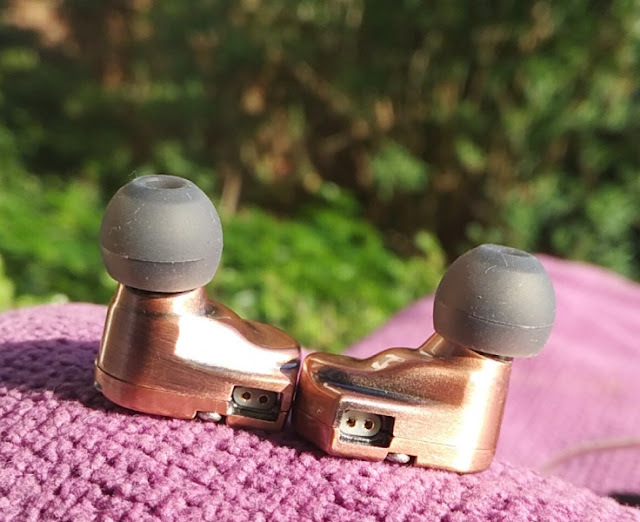 The housing of the RevoNext QT5 over-the-ear earphones is made of two solid pieces of copper metal with three aluminum screws attaching the two copper pieces together. 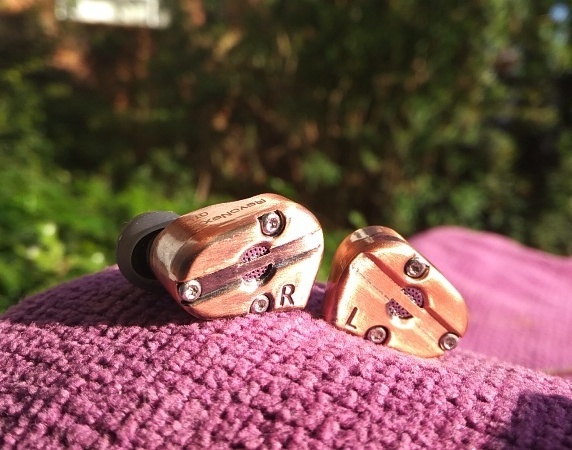 We have seen in the past brass earphones and aluminum IEMs but not copper earphones. 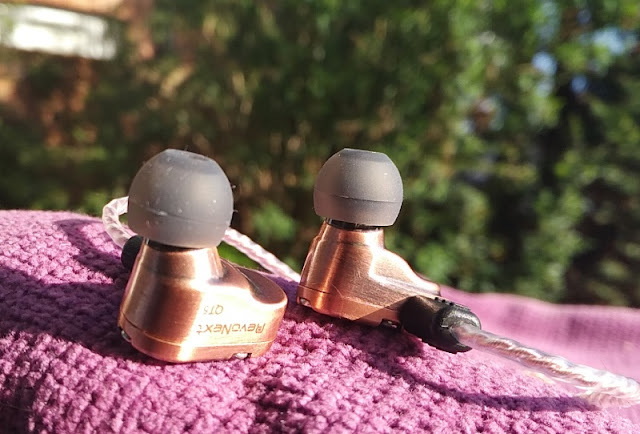 The use of copper metal in earphones is rather nice because of copper's peculiar color which makes the RevoNext QT5 earphones stand out in a nice way from the multitude of earphones flooding the headphone market every year. 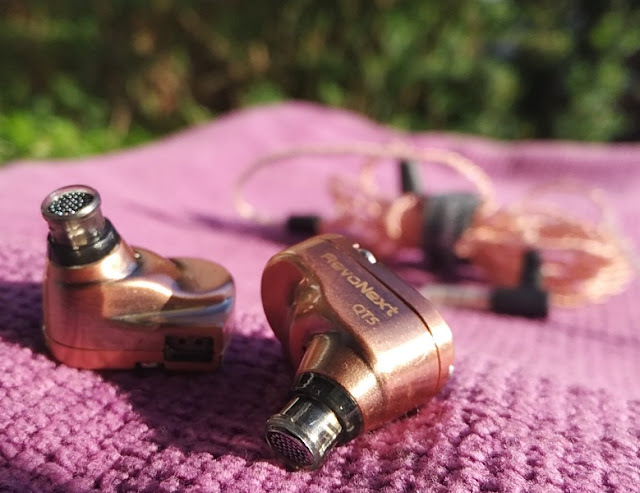 The styling of the RevoNext QT5 copper body has a nice detail too with a perforated metal vent on the front of the earphones, which presumably serves the purpose of channeling airflow to increase bass response the same way a bass reflex port does on a sound system 2.1 subwoofer. 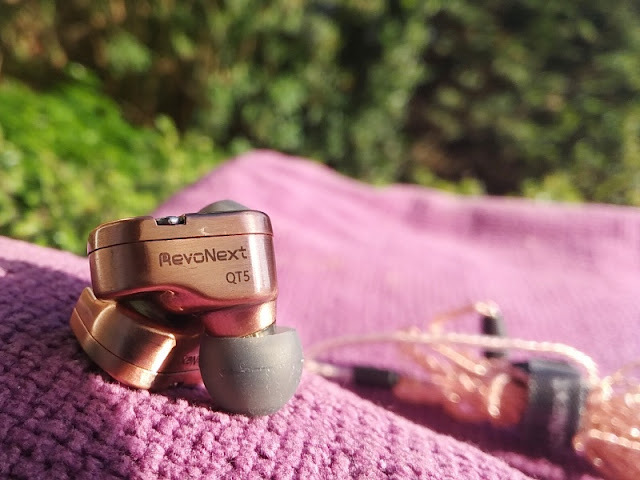 The overall listening experience with the RevoNext QT5 is very impressive with clearly detailed treble and fairly deep bass. 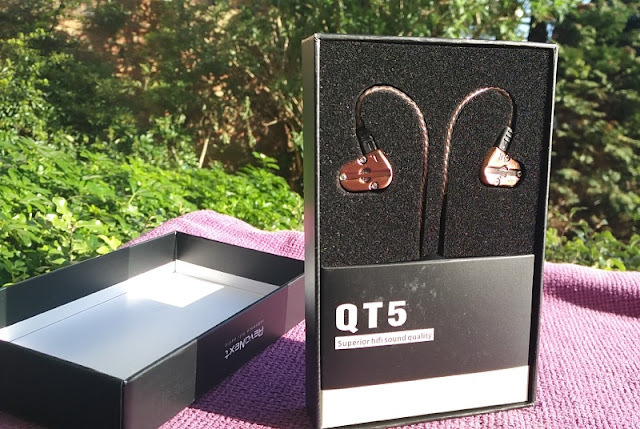 The QT5 IEMs are able to deliver a wide frequency response (20Hz-40Hz) although not as wide as the QT3 quad driver IEMs which deliver remarkably low end bass (7Hz) and high treble end (40KHz). 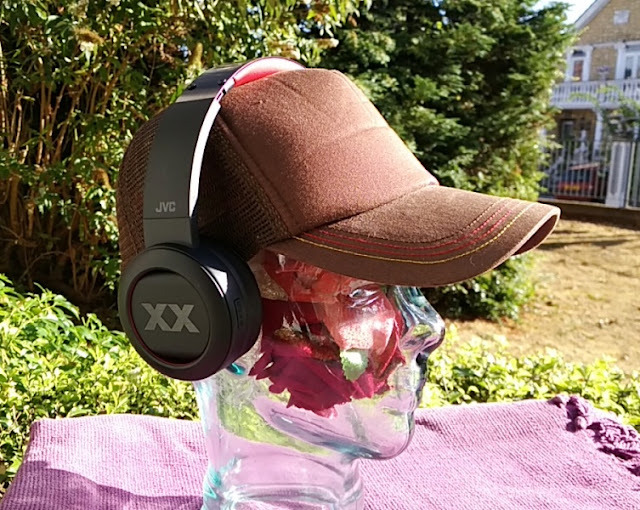 The low impedance (22 ohms) and high sensitivity (105dB) help the RevoNext QT5 deliver big volume sound and high fidelity without distortion. 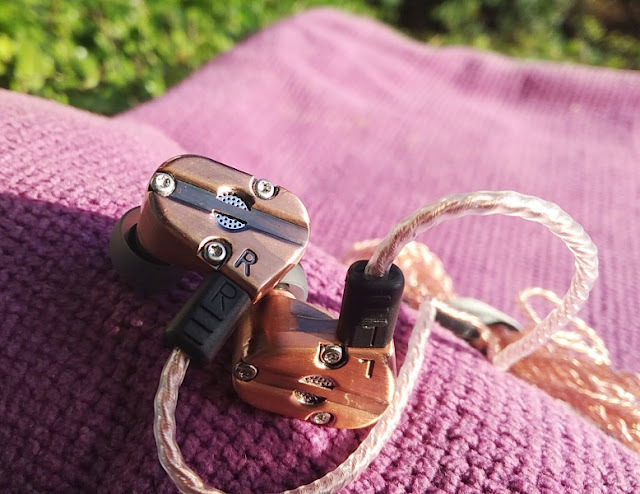 In the audio and aesthetics department, the RevoNext QT5 copper earphones make quite a statement, even more so because of the hybrid driver setup which is the same as the RX8 so it incorporates a balanced armature (BA) driver, as well as a dynamic driver. 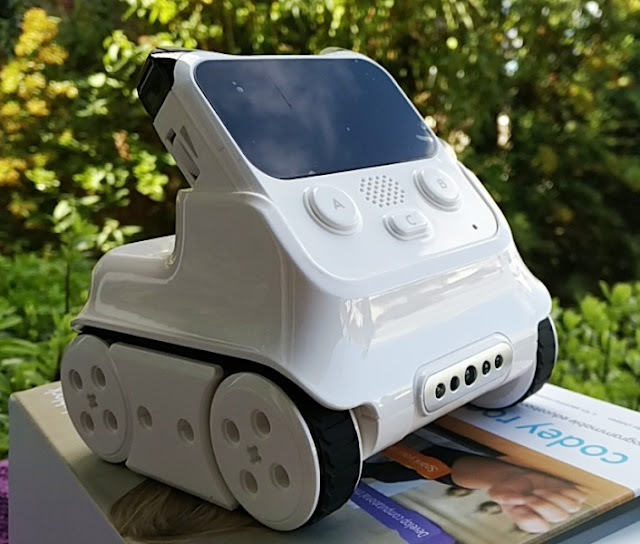 Considering the low price, driver setup and premium materials used in the making of the RevoNext QT5, you really get a lot for your money. 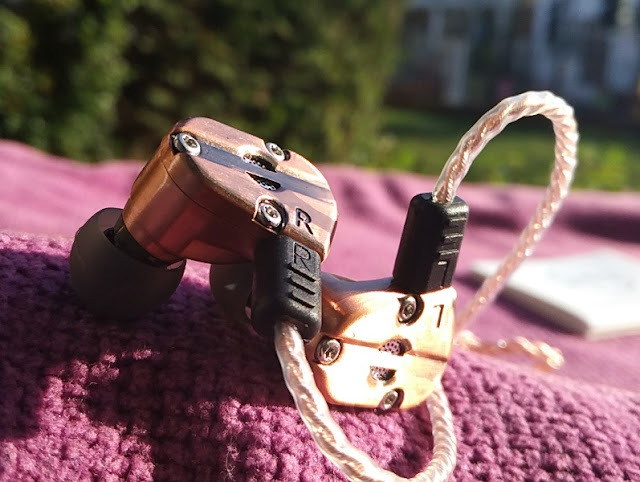 To a certain extent, the QT5 dual driver earphones prove that the sweet spot for an in-ear monitor (IEM) driver combination maybe one balanced armature (BA) plus one dynamic driver. 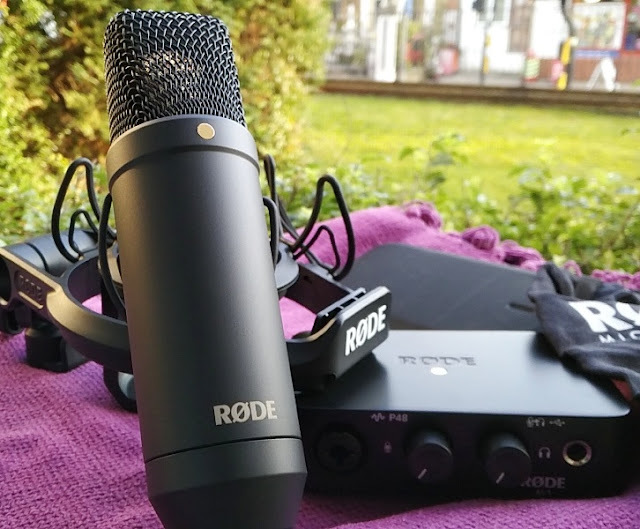 When done right, of course, quad driver setups have the distinct advantage of proper frequency separation although multiple driver crossover can be tricky to tweak harmonically. 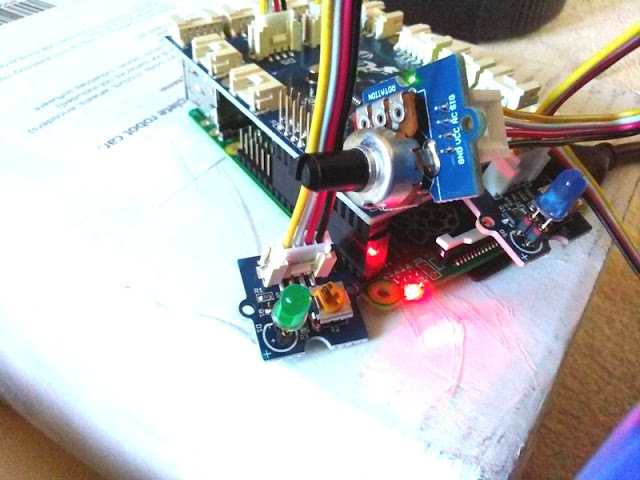 The footprint is still smaller with dual drivers than with quad drivers. 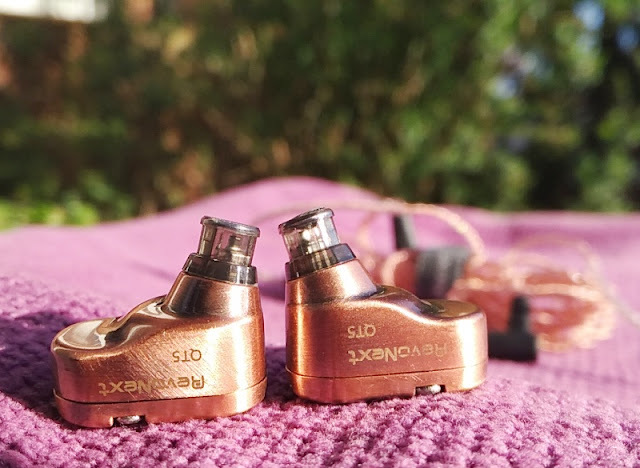 The RevoNext QT5 weigh just 25 grams and fit super comfortably in the ear canal thanks to the smooth copper finish. 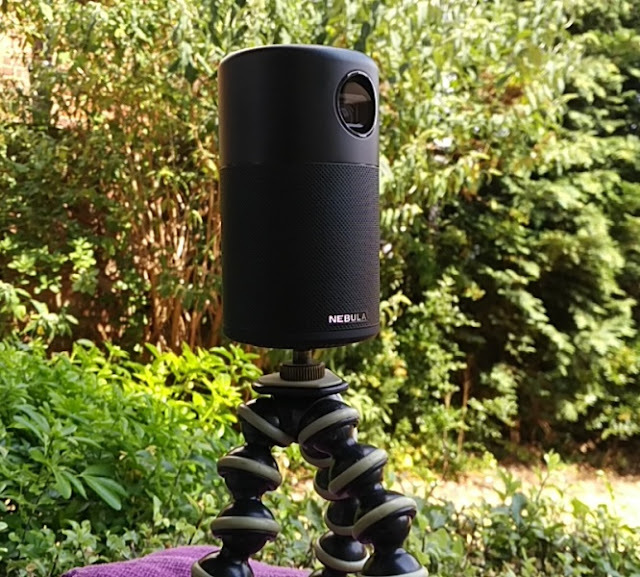 Helping to keep the weight down are the nozzle tips, which are made of plastic, and incorporate a metal filter mesh. 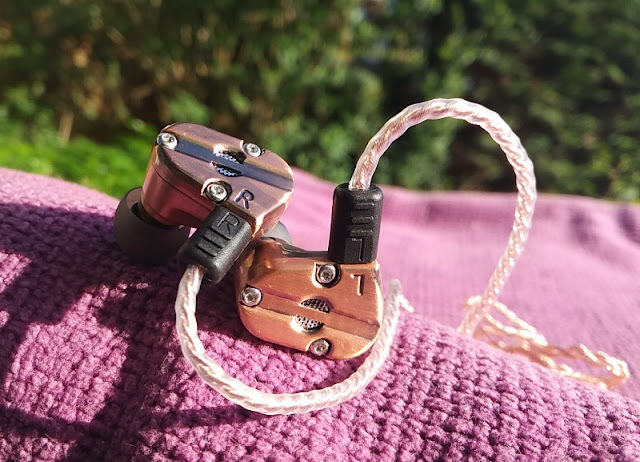 It's a nice touch that the RevoNext QT5 1.2 meter long cabling is transparent, exposing the copper wiring which helps accentuate the overall copper gun color scheme. 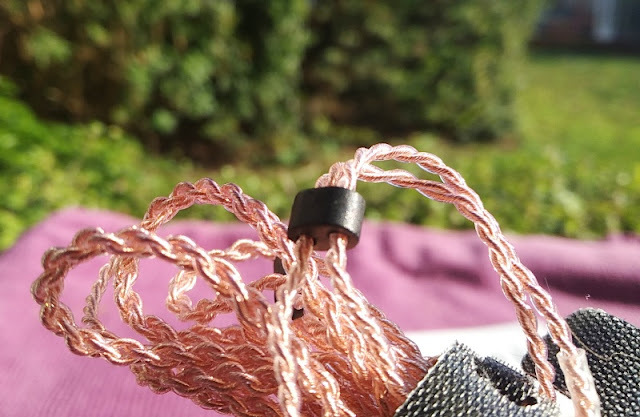 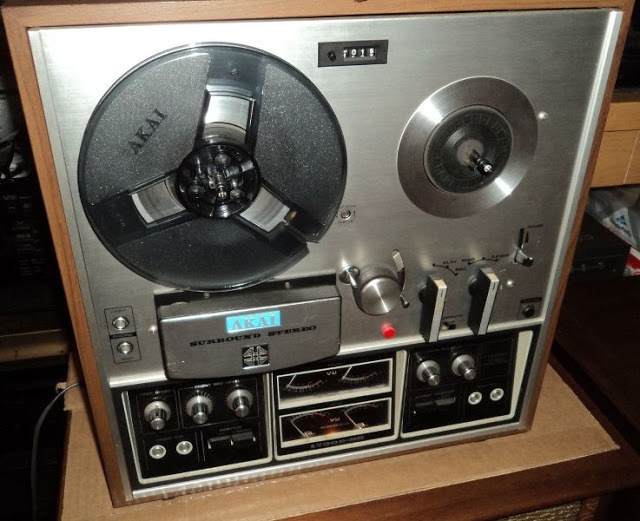 The copper wiring is individually wrapped in clear plastic sleeves and loosely braided for styling. 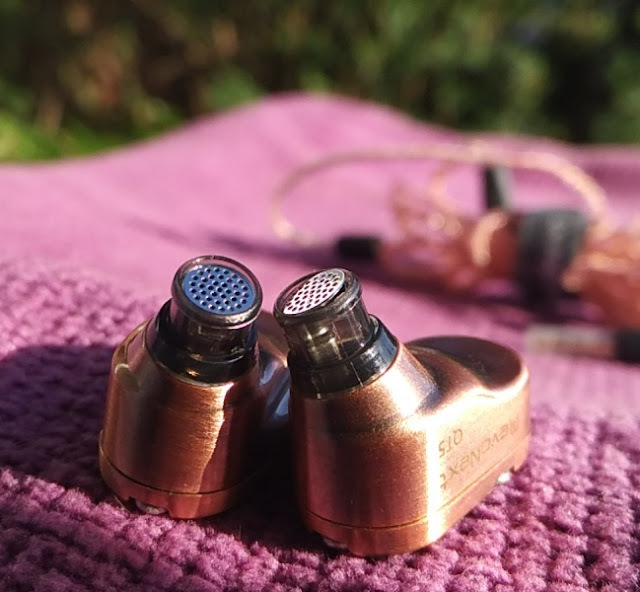 At the other end of the 2-pin connector, you find a right angle plug with a gold plated TRS 3.5 mm audio jack, making the RevoNext QT5 cable unbalanced. 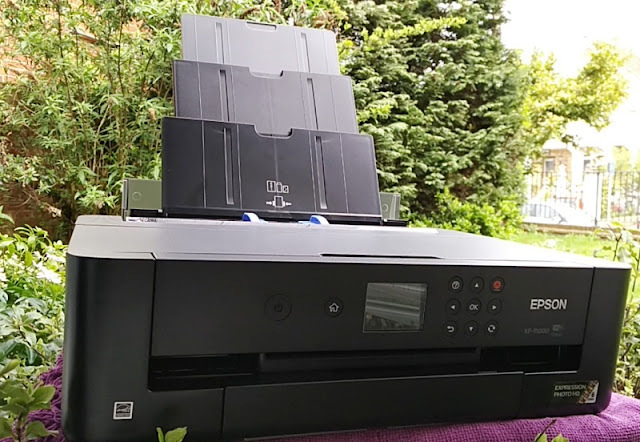 Since the 2-pin cable is detachable, you are technically able to swap it with a balanced 2-pin cable as long as the 2-pin connector is compatible. 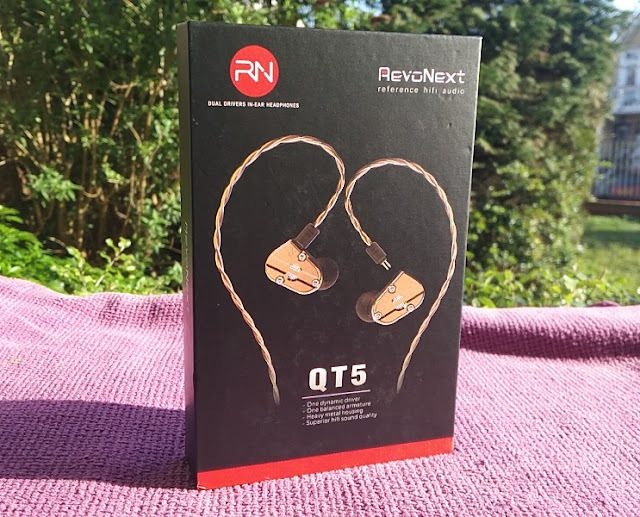 The RevoNext QT5 cable loops towards the earphone housing; hence the RevoNext QT5 over the ear design that allows you to wear the cable around the top of the ears, which happens to be the best way to wear earphones without falling out. 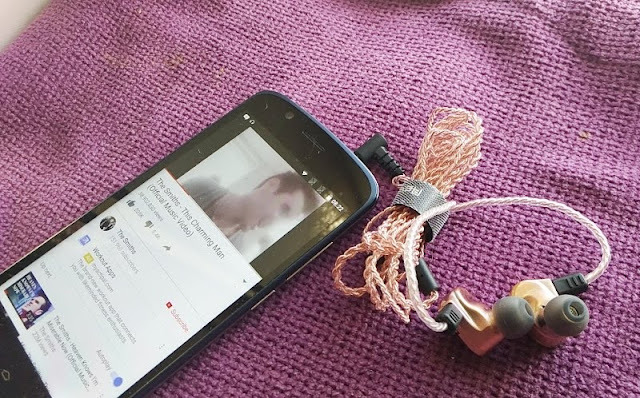 Another advantage of over-the-ear earphones is that, unlike earphones worn straight down, they tend to get less microphonics noise.